He shows himself, as one would expect from a three-year whiskey: young, fruity, fast on the tongue on it and just as quickly back down. 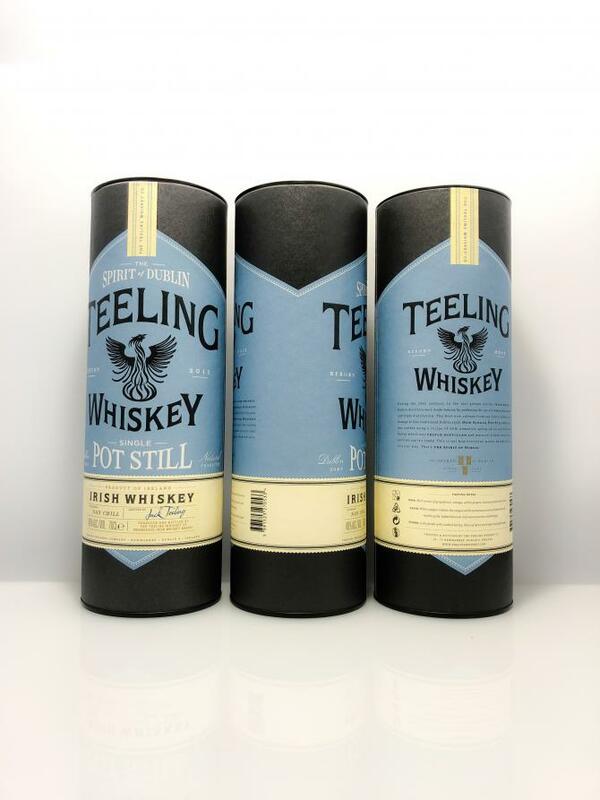 A great performance from Teeling, after almost 50 years of Dublin break again to have a whiskey from the capital on the market. But as eventful as the event is, you have to leave the church already in the village: the whiskey can do everything a three-year-old can - but no more. Here you can not expect 85-point whiskey, let alone a higher-rated whiskey. It will certainly be exciting to follow the development of the batches coming onto the market in the next few years and to compare them to this first batch. Green apple and the smell of branches just removed from the green bark. Green grapes. A touch of pear brandy, moist hay. The whiskey looks young and sparkling (no, not sprittig). Lavender pillows from Grandma's wardrobe. Mildly spicy with parsley, celery and leek. Sliced green apple, pear brandy and some lavender on the tongue. Again the hay, again the salad herbs from the nose. A little caramel, a shot of fine honey. Later, there is still a nice hint of chocolate. Short and dry with the taste of pears and Granny Smith. Chocolate drops, coffee beans. Of course, you can expect no spawning in terms of complexity and depth at nearly three years of maturity. 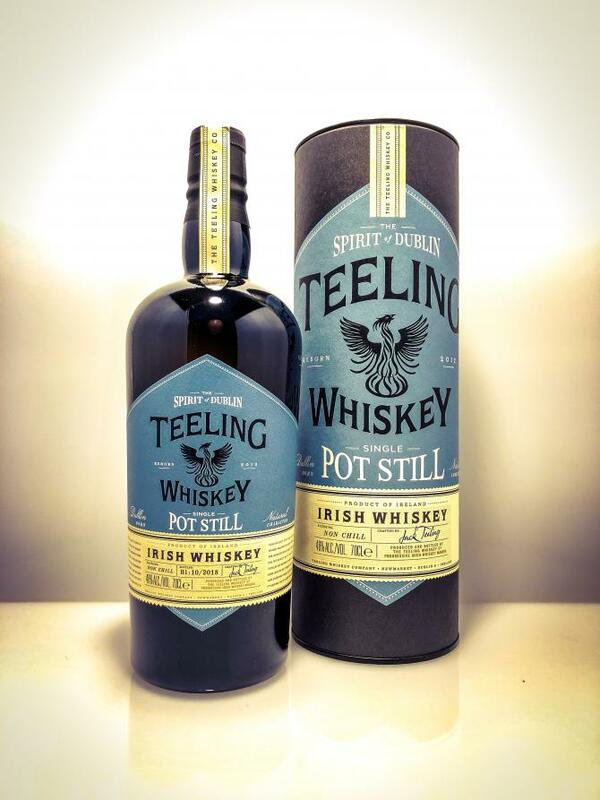 But with such expectations you do not approach this Teeling either. 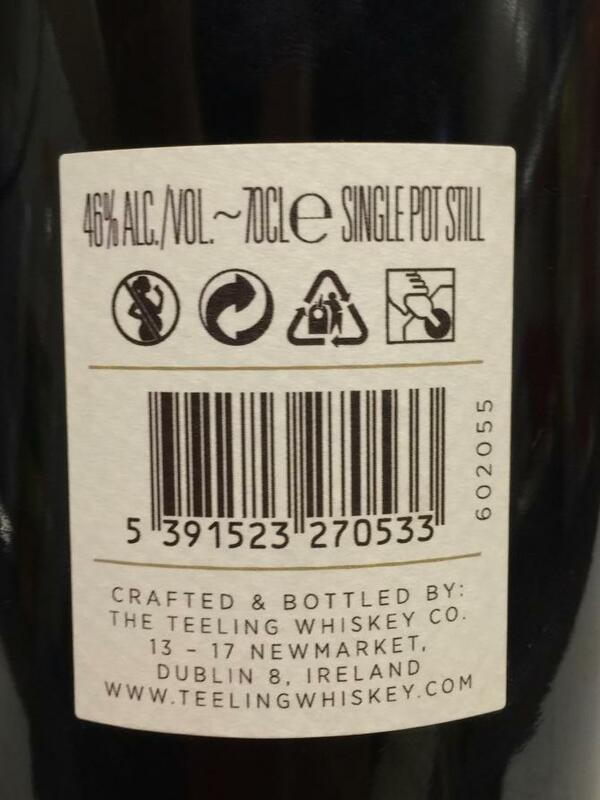 But one deliberately participates in a quite significant piece of living Irish whiskey history. 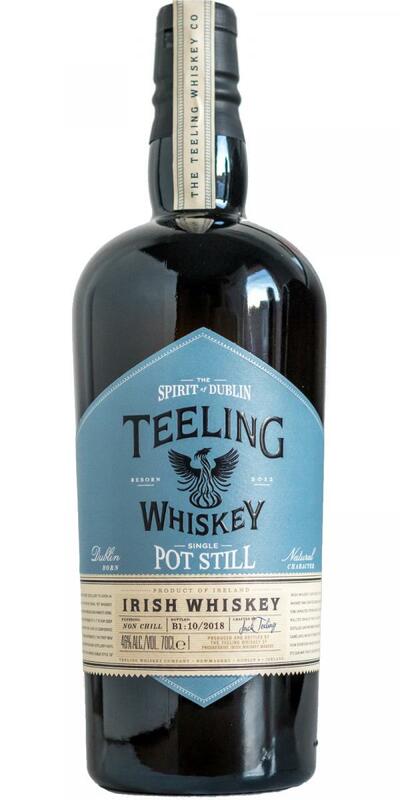 The name Teeling was previously linked exclusively to distillates of other distilleries, notably Cooley's, which are still resting in the warehouses of John Teeling after the sale, so you have with this bottle the first original Dublin from Dublin in the glass, made after the Irish whiskey Tradition in the pot still method. 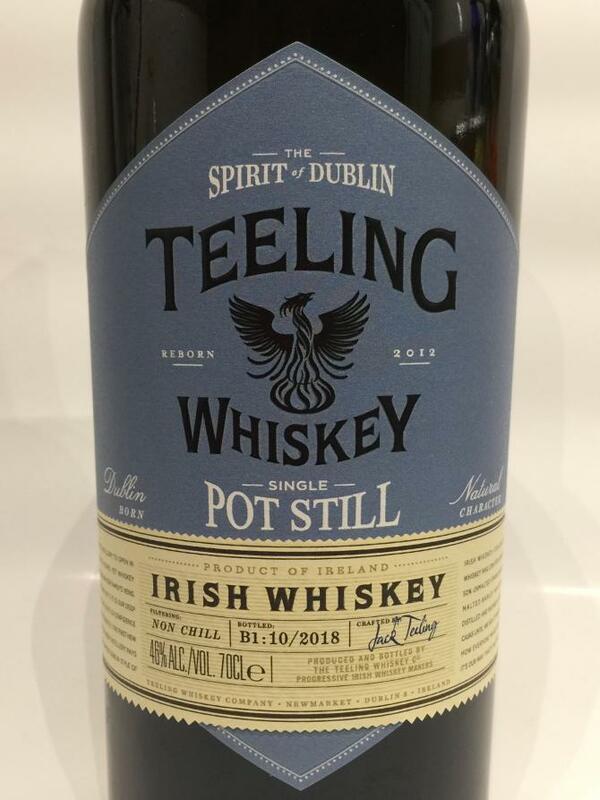 And despite all the youthful immaturity, I find it sufficiently meaningful to be able to expect very spicy and voluminous Whiskeys from Dublin in the future. I'm very excited. Especially since we can expect exciting barrel experiments here too. Cooling mint, a fresh mild honey sweetness and spicy fruitiness rise from the glass, especially apricots, unripe bananas and crushed light grapes. Beautiful sour aromas of freshly peeled lemons and green apples. Plus a decent dose of vanilla and hints of an old dented blunt zinc bucket that undeniably betrays the youth. I can not even recognize the oak flavors of the different barrels. Warming and peppery it launches with a sweet Pottstill seasoning, which comes here but still coarse, immature and somewhat greasy. Florale notes of a flower meadow with violets and lavender alternate with tart quince and lemons, and here I have actually already beautiful spicy oak notes, which offer neatly stand out with dry tart aromas of sweetness. Not very long, as expected, the aftertaste offers tart and sweet grapefruit, some vanilla and beautiful espresso roasted aromas of oak.